I've been an avid Graham Masterton fan since the early 1980s and I've read most of his work. 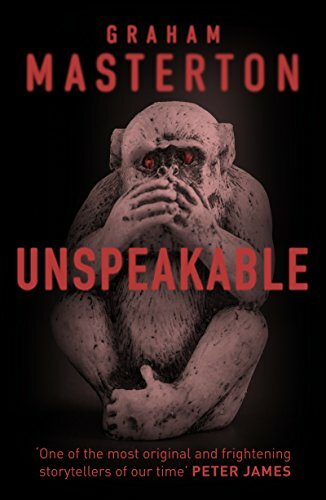 What can I say about Unspeakable except that whilst I enjoyed the ride, I found it somewhat lightweight. First of all, the plot seemed to take ages to get going and secondly it seemed to go off at tangents, which left me confused as to the main theme. I thought the plot was going to centre around missing women but, in actual fact, it was hardly touched upon until the very end when its significance became apparent. This left me thinking most of what I'd read previously was twaddle. The biggest flaw was a small paragraph where the main character is miraculously able to hear, despite Masterton going to great lengths to describe her as totally deaf. The final few chapters are gripping and the final page mind-blowing. Don't get me wrong, this book is a good read but it's not one of Masterton's best. "There are no words..." Holly Summers is deaf, but she "hears" thanks to her immense talent for lip-reading. A child welfare officer, Holly moonlights for the Portland, Oregon, police, using her unique gift to aid in criminal investigations -- including one into the case of a recent string of women who have vanished without a trace. Witnessing unimaginable evil in the abuse cases she handles, Holly fights every day to salvage broken young lives. But her good works spark plenty of enemies; someone has targeted this avenging angel with a supernatural vow to harm her. And the terror begins when Holly's young daughter disappears. "There are no dreams as dark as the horrors some men do." Fending off the shadows of an unearthly predator and the very real threats facing a woman in a man's world, Holly must listen to her deepest instincts for survival -- to save the one person for whom she is living.